How can you tell if a car is hand built? It may not be so obvious from looking at a beautifully restored Dino but there are signs of the craftsmanship as well as the technique of the day. Usually they are hidden. Some are very difficult to find. 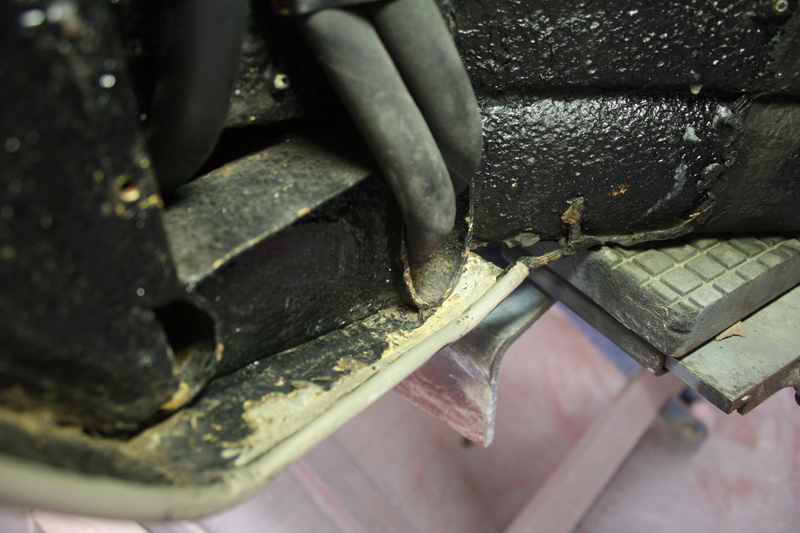 This little piece of evidence is hidden behind the inner wheel well of a Dino 206. You’d never see it unless you had reason to take off the inner wheel well. Clue: This is where it starts. This photo shows the start of the lead wire that creates the edge of the fender well. If you look closely you can see where it’s welded to the frame. Then it goes into the edge of the rolled sheet metal and that’s what creates your fender lip and gives it the strength it needs.